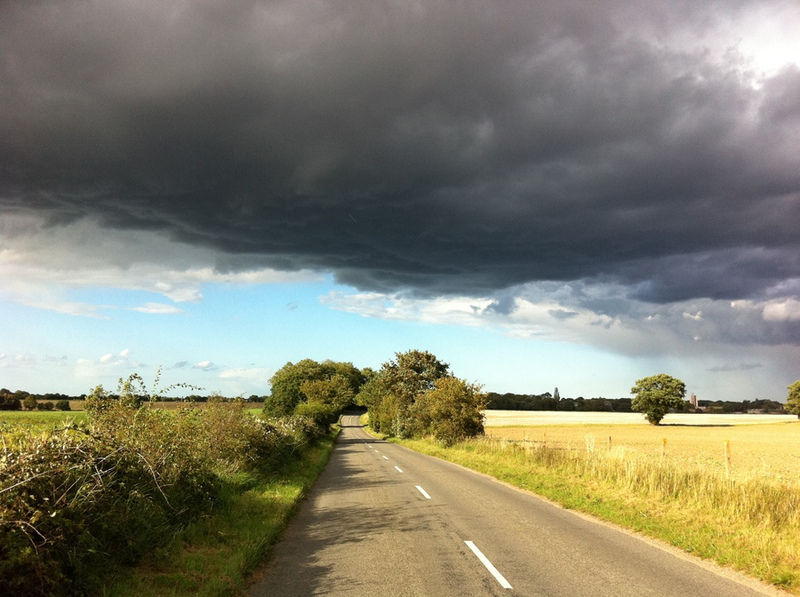 I captured this shot on the ride home from Norwich to North Walsham. It was an especially showery day, and the roads were variously flooded and bone dry. I was fortunate not to get caught in any rain, but this rain cloud pictured looked like it was going to do its worst. Thankfully it just drifted away!